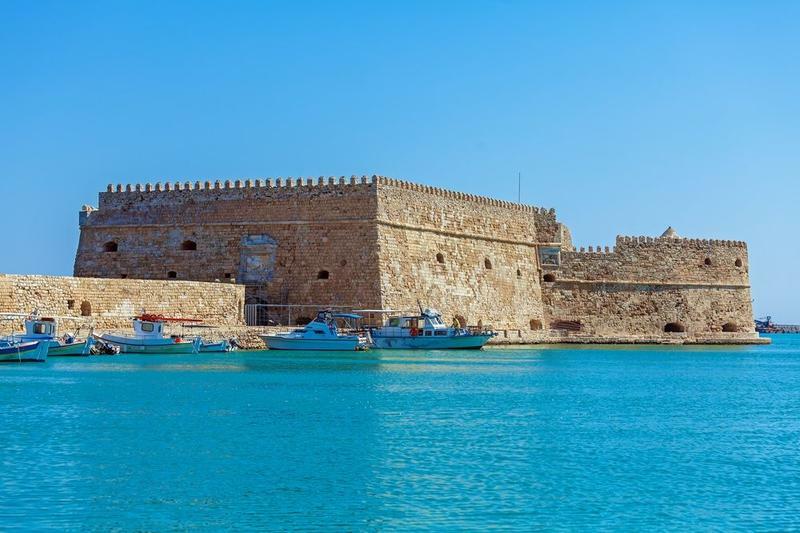 Heraklion combines history and contemporary everyday life in a charming manner that can mainly be attributed to its geographical position, as well as its residents, who are known across Greece as hospitable and sincere people. The Mediterranean climate’s mild winters and scorching summers mean most people spend a lot of time outdoors. It is an ideal city for cycling too. Bicycles eliminate the distance factor, and it is an excellent way to get acquainted with the lesser-visited spots, especially the maze of streets within the walls where you’ll find quieter neighborhoods such as Lakkos and Agia Triada, which are among Heraklion’s oldest, with a history that dates back centuries. They maintain a distinctive character to this very day, with picturesque yards, and narrow alleyways, and locals sitting outdoors gossiping in the shade. Streets such as Martiron 25is Avgoustou, which has many well-preserved neoclassical buildings, testify to a rich urban past, early in the previous century. You’ll almost certainly pass through Eleftherias and Kallergon (or Lions) squares: A visit to the Heraklion Archeological Museum at the former, featuring a priceless collection of Minoan finds, is essential, while the Morosini Fountain, a renowned Venetian-era landmark, is located next to the latter. My favorite walk or bike ride in the city takes in the district of Agia Triada all the way to the seafront. Here you’ll find the Historical Museum of Crete with a pleasant terrace café that boasts exceptional views of the sea, and the recently renovated Xenia Square. Then, just a stone’s throw away is the Agios Petros and Pavlos Monastery, established by the Dominican monks during the early years of Venetian rule. Next is the Koules Fortress and the Venetian-era shipyards, known as Neoria. Another great walk is along the Venetian walls, which, while invisible to the naked eye at many points, embrace the old city like a ring, and in parts, offer stunning views of the city from above. Gates lead down into the city from various points, including the New Gate (Kainourgia Porta), Bethlehem Gate (Kommeno Bendeni), Chanioporta (Chania Gate), and Pyli Agiou Andrea (Bastion of St Andrew). Caffé Gioia serves an excellent cappuccino, not to mention Adriano D’Amelio’s superb pasta dishes, while Kagiabis is the place to go for traditional dishes. I love the time-honored Vourvouladiko tavern in the Lakkos district with its beautiful garden and fantastic cuisine. Combine the latter with an afternoon stroll around the area, which features exceptional interwar-period houses and the magnificent 16th-century Agios Mattheos Church. Close to the Koules Fortress, Ippokambos serves delicious steamed mussels. For fabulous cocktails, check out the Bitters Bar, which also offers an exceptional range of quality drinks against a jazz backdrop, and Trito, which plays alternative music and has a friendly atmosphere. Steam, beyond the old city, is one of those cafés that shows absolute respect for quality products. Simply designed and well-maintained, its coffee blend plays a leading role. You May Be Cited by a Cop…in a Tesla?